"It always amazes me how children who grow up around farm animals are so confident in handling them. 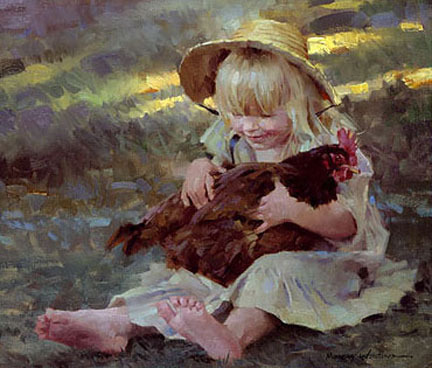 I didn't have that farm upbringing, so when a four-year-old girl grabbed a chicken and hugged it wildly right in front of me, I marveled. Little Emmie held on for quite a while before the chicken broke free-only to be quickly wrangled again by her little blonde friend. I love to capture moments of joy like the one I saw on this day."